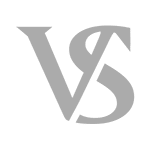 False Imprisonment Defense : Meyer Van Severen, S.C.
Milwaukee criminal defense firm Meyer Van Severen, S.C. provides effective false imprisonment defense. If you’re facing this charge, you’ve been charged with a Class H felony, which carries with it a 6 year prison sentence and a $10,000.00 fine. Hiring a skilled and aggressive criminal defense lawyer is very important when facing serious criminal charges. Criminal defense lawyers Matthew R. Meyer and Benjamin T. Van Severen defend false imprisonment cases. The defendant intentionally confined or restrained another person without that person’s consent and with knowledge that he has no lawful authority to do so. The statute uses the words “confined or restrained” in defining the illegal conduct. The victim can be confined by acts or words, or both. The reason for this is that “mere words could be sufficient if they actually impose a restraint upon the person to whom they are directed.” R. Perkings and R. Boyce, Criminal Law, 225 (3rd ed. 1982). Genuine restraint or confinement is necessary to sustain a conviction, but that restraint or confinement need not occur in a jail or a prison. It could have happened anywhere the defendant was able to confine or restrain the victim. Again, the use of physical force is not necessary, as the courts believe mere words can keep an individual restrained. False imprisonment can occur in the victim’s home, the defendant’s home, or conceivably anywhere else in Wisconsin. How do we win my false imprisonment case? Criminal cases are won for a variety of reasons. We believe that one of the most common ways a criminal charge is beaten is when the victims lack credibility. A witness is shown to lack credibility when prior inconsistent statements are brought out, or we’re able to show that he/she is lying. Every case is different, and every case needs to be handled in a different way. Remember, the prosecution needs to prove its case. We just need to show that they haven’t satisfied their burden. Hiring a top Wisconsin criminal defense law firm may improve your chance of beating the charges against you. If you’re facing a false imprisonment charge, you should consider hiring false imprisonment defense counsel. Our criminal defense attorneys, Matthew R. Meyer and Benjamin T. Van Severen are experienced lawyers who know how to fight false imprisonment charges. If you’d like to speak to one of our criminal defense lawyers, contact Meyer Van Severen, S.C. at (414) 270-0202. We answer phones 24/7, so call right now to set up your free consultation.